We work with global partners who specialise in providing high quality products and a high level of customer service and support to Electron Microscopists. Emgrid Australia Pty Ltd have extensive experience in specimen preparation techniques and products associated with electron microscopy and histology. They offer specialized attention to customers and provide sound technical advice and assistance when required. For over 35 years the Gilder Grids company has been engaged in the manufacture and development of small precision electro-formed and etched metal components and ultra-fine mesh products. Their TEM grids have a reputation for high quality and well defined grid bars. 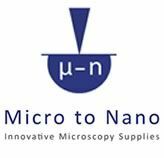 Micro to Nano specialising in innovative, practical and useful microscopy supplies for electron microscopy and scanning probe microscopy techniques. 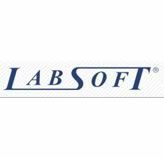 With a combined experience of over 50 years in electron microscopy, sample preparation, imaging technology and product distribution they have a deep understanding of the needs of customers. 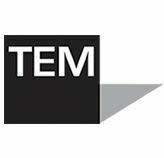 TEMwindows.com manufactures a range state-of-the-art transmission electron microscopy windows that enable researchers to characterize nanoscale materials and biological specimens using TEM imaging. TEMwindows.com is a division of SiMPore Inc., a nanotechnology company located in Rochester, New York. 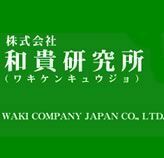 Waki Company Japan Co., Ltd.
WAKI COMPANY JAPAN CO., LTD. supports research and development through the variety of products and service related to nanotechnology.